Drivers looking for the latest in premium Audi inventory vehicles, financing specials, and maintenance products. If you're looking for a great value on your next vehicle purchase or service appointment, you can rely on our Audi dealership in Southampton for exceptional maintenance care and financing offers near you. Our Audi dealership is your source for the latest in Audi sedans and SUVs near Long Island. Drivers can visit us today to test drive our newest lineup of Audi vehicles packed with premium features and smart functionality. When you're looking for a powerful yet sophisticated SUV, our new Q7 SUVs are complete with leather seats, a full-color navigation system, and advanced safety functionality such as parking sensors. Drivers can test drive our current selection of Audi SUVs that put power and sophistication into your daily driving experience. Drivers looking for more fuel-efficient driving down Montauk Highway can explore our Audi Q5 SUV inventory. These SUVs from Audi are equipped with an efficient engine that delivers on 252-horsepower and 273 pound-feet of torque. These Audi SUVs in Southampton are highly customizable with the Premium Plus Package as well as the Navigation Package so you can highlight the features you enjoy most. Our inventory of Audi sedans helps you to stand out while on the road with a striking look that hints at the capability within. Drivers can test drive our latest inventory of Audi cars such as the Audi A5 that is packed with a navigation system, leather upholstery, and an engine that achieves up to 34 highway mpg. When you're looking to save both time and money, Southampton area drivers can find some of the highest value in the New York City area. Our selection of used vehicles offers drivers great deals on hatchback, sedans, and SUVs from premium automakers such as BMW in addition to our used and certified pre-owned Audi models. Drivers can visit us today to learn more about the low prices on our ever-changing selection of used vehicles at variety of price points. We look forward to getting you behind the wheel for a test drive soon. Driving home behind the wheel of a new or used vehicle of your choice is simple for our community of Southampton drivers. Our simple, hassle-free approach to auto financing helps to connect you to the best possible payment plan for you and your personal budget. Our expert Sales professionals can work with you to explore our multiple auto financing options including our latest leases and auto loan options. At Audi of Southampton, our dealership professionals are with you every step of the way with our service technicians to help keep your premium Audi vehicle high-performing and reliable. From routine maintenance checks to larger auto repairs, drivers can expect the latest in Audi quality parts, accessories, and products in Southampton. We offer auto service on Saturday for a laid back service experience. Visit us today to learn more about our latest vehicle inventory as well as financing options and service discounts. No matter where you are in your car-owning or car-buying process, we can help you get to your next level. We look forward to getting you behind the wheel of a new or used Audi soon. 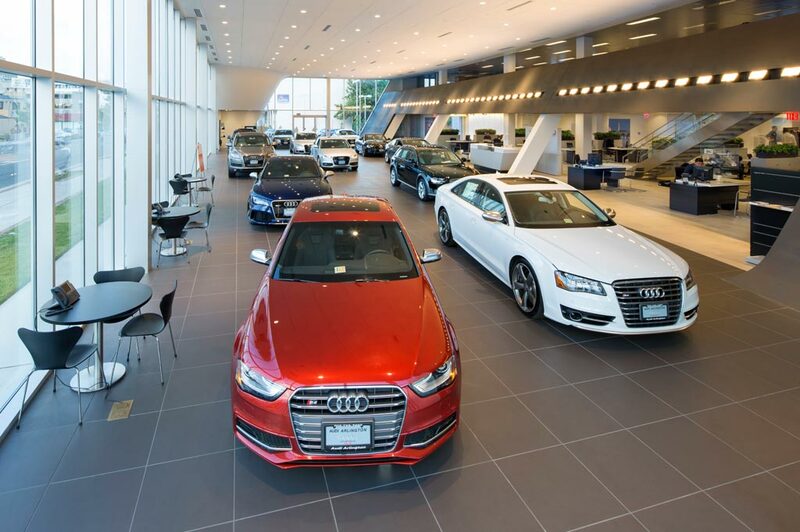 Audi Southampton in Southampton, NY treats the needs of each individual customer with paramount concern. We know that you have high expectations, and as a car dealer we enjoy the challenge of meeting and exceeding those standards each and every time. Allow us to demonstrate our commitment to excellence! Our experienced sales staff is eager to share its knowledge and enthusiasm with you. We encourage you to browse our online inventory, schedule a test drive and investigate financing options. You can also request more information about a vehicle using our online form or by calling (631) 283-0888.